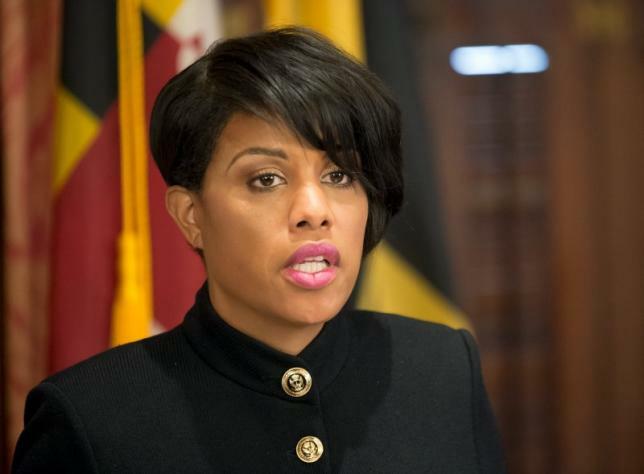 Stephanie Rawlings-Blake the mayor of Baltimore who has been under great criticism since riots ripped through her city this past April, will announce on Friday that she is not seeking reelection in 2016, a spokesperson for City Hall announced. The development came as a big surprise at a time when Baltimore is preparing for the upcoming racially charged trials of the six police officers who are charged in the death of Freddie Gray a 25-year old black male. Rawlings-Blake, who is 45, would have had intense competition if she sought reelection. She is expected to make an official announcement on Friday. Her decision comes just a day after a judge has ruled that the upcoming trial of the six officers would he held in Baltimore and just two days after Baltimore agreed to a settlement of $6.4 million with Gray’s family. Gray died after he suffered an injury to his spinal cord while in police custody. His death spawned numerous riots, looting, and arson, the worst unrest Baltimore has seen since 1968. The mayor was the first black female to head the U.S. Conference of Mayors. However, her tenure has also been rocky, especially since Baltimore’s unrest following the death of Gray. A number of people want to succeed her. One of those is Sheila Dixon a former mayor who was forced from office during 2010 because of scandal and who already has announced her candidacy. Another possible candidate is a city councilman in Baltimore Nick Mosby. He is the husband of Marilyn Mosby the state’s attorney for Baltimore who will prosecute the officers. Viewed as being aloof by constituents Rawlings-Blake has been criticized widely for allowing the protests over Gray’s death to reach the proportion they did, prior to asking Larry Hogan the Governor of Maryland to call the National Guard. In addition, she was heavily criticized for the comment she made during a news conference when she said she instructed police to ensure that the protesters were able to exercise the right to free speech.